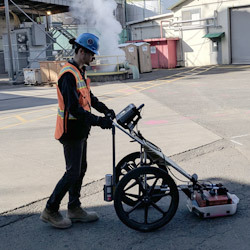 Ground Penetrating Radar Experts in Oregon | GPR Data Inc.
GPR Data, Inc. established in 1998, is a company using Ground Penetrating Radar for non destructive investigation of earth and concrete. Based in Eugene, Oregon GPR Data Inc. has a servicing area which covers the globe. GPR Data has worked in countries and conditions all over the world. We strive to provide the most innovative solutions to your problems. 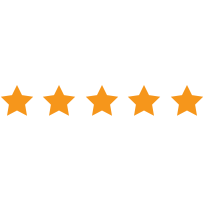 GPR Data uses the latest radar technology available and each member of our team is certified in Radar Engineering and Evaluation. What is in and beneath soil and concrete is our business. Investigations in sub-surface range from 1 inch to 300 feet depending on local conditions. From air voids and delaminations in concrete to bedrock and soil, to gem bearing vugs in pegmatic flows, we can find what you’re looking for. 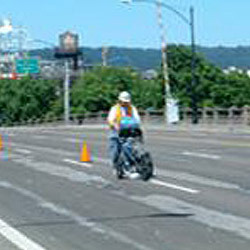 Michael “Big Mike” Edwards, with a background in business and heavy construction, is shown here conducting a chloride corrosion deterioration study of the Burnside Bridge, in Portland, OR. Matthew “Data Man” Edwards, with a background in geophysics, is shown here conducting a structural evaluation of a concrete dam abutment in Brownsville, OR. Bringing all the experience needed in geology, Casey is our in house geologist. When we are looking for soul permativity or needing to model antenna penetration feasibility for certain projects. Casey is our go to guy! As an expert in GPR concrete imaging, Casey offers professionalism and value to all our projects. With a background in geophysics Daniel can post process, model, duplicate, analyze, and georeferenced any site in the world. Being trained by some of the GPR Data post processing pioneers, he is an industry expert in GPR Data collection. Construction materials and laboratory testing are Ian’s specialties. With 10 plus years experience in nondestructive testing and ground penetrating radar there is hardly a case scenario he hasn’t seen. Ian’s work ethic is second to none! If compressive strength of concrete or corrosion on banded post tension cables is the information you are after Ian delivers every time! Mechanical and Geotechnical Engineering are his trades, pulling off the impossible is his specialty. With 15 years of applied field experience and a background in geophysics, Nathan is a go-getter! If your industry is oil and gas or a power producer Nathan will engineer a solution that will last. The quality of his data and accuracy of his findings will not disappoint! Ground penetrating radar is a non-destructive geophysical method that produces a continuous cross-sectional profile or record of subsurface features, without drilling, probing, or digging. Ground penetrating radar (GPR) profiles are used for evaluating the location and depth of buried objects and to investigate the presence and continuity of natural subsurface conditions and features. Ground penetrating radar operates by transmitting pulses of ultra high frequency radio waves (microwave electromagnetic energy) down into the ground through a transducer (also called an antenna). The transmited energy is reflected from various buried objects or distinct contacts between different earth materials. The antenna then receives the reflected waves and stores them in the digital control unit. GPR works by sending a pulse of energy into a material and recording the time required for the return of any reflected signal. A series of pulses over a single area make up what is called a scan, or trace. Reflections are produced whenever the energy pulse enters into a material with different electrical conduction properties (dielectric permittivity) from the material it left. The strength, or amplitude, of the reflection is determined by the contrast in the dielectric constants of the two materials. This means that a pulse which moves from dry sand (diel of 5) to wet sand (diel of 30) will produce a very strong, brilliantly visible reflection, while one moving from dry sand (5) to limestone (7) will produce a weak reflection. GPR measurements are relatively easy to make and are not intrusive. Antennas may be pulled by hand or with a vehicle from .8 to 8 kph, or more, that can produce considerable data processing. Graphic displays of GPR often resemble geologic cross sections. When GPR data are collected on closely spaced (less than 1 meter) lines, these data can be used to generate dimensional views of radar data greatly improving the ability to interpret subsurface conditions.